Dental Microscopes – Optofine Instruments Pvt. 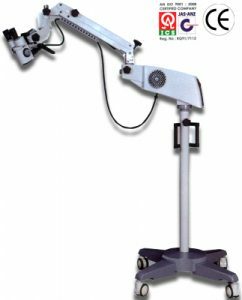 Ltd.
We are Manufacturer, Supplier, Exporter of Dental Microscopes and our setup is situated in Sangli, Maharashtra, India. Precisely assembled optics with new generation dual beam technology illumination system offers for enhance apparent depth. A filed proven optimum corrected optical system provides the highest resolution, sharpness& Contrast al all magnifications.